Wyoming does not regulate general contractor licenses at the state level. Apart from an electrical license, you will need to adhere to the rules and regulations of your local city, county, or jurisdiction. For instance, if you are planning to perform general contracting work in Laramie County, you will need to be licensed by the Cheyenne Contractor Licensing Board. However, if you are performing general contracting work as a company — no matter the business structure — you will need to register your business through the Wyoming Secretary of State. As a result, you will need to obtain all appropriate tax credentials. Additionally, if you have employees, you will need to apply for workers compensation coverage. It is critical for general contractors to make sure they are operating within the local regulations in Wyoming. Determining what license you need in which city, the local requirements, and fees to pay will save you a lot of time and trouble when determining when and where to get your general contractor’s license in Wyoming. The Cheyenne Contractor Licensing Board, acting under the Building Safety Department, will issue all general contracting licenses in Laramie County. As such, the Cheyenne Contractor Licensing Board holds its own requirements for eligibility, insurance, education and exams, and associated fees. The board also separates various contracting work into several different classes. Before you apply to become a general contractor in Cheyenne, you will want to identify your work parameters to become licensed for your particular work. Work under this definition is further broken down into classes by the board, and according to what job you will be bidding on and performing, you will need to apply for at least one and up to several licenses. Who Needs a Contractors License in Laramie County? Class A – General Contractor: You will need to apply for a Class A license in Cheyenne for any construction, alteration, or repair work on any type or sized structure. A Class A license may perform any work classified under Classes B, C, and D except for trade work. Class B – Building Contractor: A Class B license application will be needed for the construction, alteration, or repair of one, two, three, and four-family residential construction and one-story commercial buildings up to 2,500 square feet. A Class B license can perform any work classified under Class C, D, and R except for trade work. Class R – Residential Contractor: You will need an application for a Class R contractor if you are planning to do any construction, alteration, additions, or repairs of detached single-family dwellings no more than three stories high and accessory structures. A Class R contractor may perform all work classified under a Class D license except performing trade work. In all cases, you may hire a subcontractor to perform any and all trade work. Additionally, your application may look a little different across classes, however, your application process will be very similar for all licenses. What Do You Need To Become a General Contractor in Cheyenne? Provide a certificate of general liability insurance with the City of Cheyenne Building Department as the certificate holder. If you have employees, you must register with the Division of Workers’ Compensation through the Department of Workforce Services of the State of Wyoming. Companies are required to register and disclose business structure with the Wyoming Secretary of State. Pass the ICC National Standard General, or Residential (Class R), exam OR the Wyoming Building Contractor exam (WAM). Provide personal and professional references. Attend the Licensing Board meeting on the second Tuesday of each month. Include all application and licensing fees. Every application provides a Qualified Supervisor License, in which you must appoint a qualified supervisor for your company. Every business is required to have one qualified supervisor. For a detailed account of all the contracting licenses that Cheyenne offers, visit the City of Cheyenne Wyoming, contractor license information, fees, and applications page. Campbell County, otherwise known as Gillette, Wyoming, has its own general contractor licensing process. All general contractors licenses will be approved and issued by the City of Gillette Building Inspection Division. To become a licensed general contractor in Gillette, you must file an application, take and pass an ICC accredited exam if required, and pay all associated fees. Who Needs a Contractors License in Campbell County? The City of Gillette Building Inspection Division issues a variety of contractors licenses including general, building, residential, and specialty contractors. For a comprehensive overview of licenses offered by the Building Inspection Division, visit the Instructions for Completing the City of Gillette Contractor License Application. Here, you can find license classifications, requirements, submittal deadlines, testing information, and more. To become a general contractor in Sheridan, you will have to provide a written application to the Building Official, of the City of Sheridan Building Department. Your application must specify the license you are applying for and be accompanied by a liability insurance policy, a surety bond, proof of experience, as well as your application fee. You may also be required to complete an ICC test successfully. Each license offered will have a slightly different application process, visit the Contractor Licensing Procedures, as required by Sheridan Ordinance, for more details. Who Needs a Contractors License in Sheridan County? The City of Sheridan Building Department offers commercial, residential, and specialty contractor licenses. During your written contractor license application, you will have to indicate which license you are applying for. A commercial contractor may perform work on any building type, while a residential contractor is limited to one and two-family dwellings or townhouses. For any contractors license in Sheridan, you will have to pay an annual licensing fee of $200. Your licensing fee will have to be included along with your application. Testing will be determined on which license you are applying for. However, you will generally need to take an International or International Residential Building Code exam. As always, application and licensing fees will apply. To construct, repair, or alter any structure, you will need to apply for a Class I general contracting license. Class II and III general contractor licenses will have limitations on which structures you may or may not perform general contracting work on. The Casper Community Development Department also offers a Demolition and Roofing general contractor license. For a detailed account of all license parameters and requirements, view the General Contractor License Application. 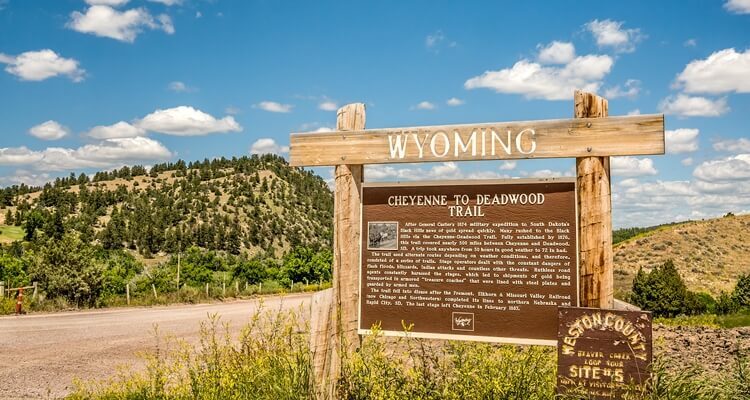 All legal business structures are required to register through the Wyoming Secretary of State. This means that if you plan on bidding on projects as a contracting company, you will need to register. Additionally, you will need to obtain documentation and insurance necessary for conducting business and hiring employees, such as tax identification numbers and workers’ compensation insurance. Wyoming does not levy a personal or corporate income tax but does levy several business-related taxes, including sales/use tax, cigarette tax, minerals tax, and property taxes. For more information on tax services, visit the Wyoming Department of Revenue. Businesses with employees are required to carry Workers’ Compensation Insurance coverage through a commercial carrier, on a self-insured basis, or through the Wyoming Department of Workforce Services. Since contractor licenses aren’t regulated at the state level, most searches for a contractor or license will run through a private third-party site. Make sure you have other vetting measures in place when hiring a contractor in Wyoming.